While Moving Again is not something most people look forward to or enjoy doing, often the reason for moving is the start of a new adventure for the family. Once you have moved a few times, there are many tips and tricks you learn along the way.. Those tips and tricks plus the dependable service of a good interstate removal company can help make even moving again a positive experience for all. Each and every move is different and requires a specific plan of action, but the overall plan of boxing up the rooms is typically the same when moving again. Evaluate each room for breakables, electronics and other items that need special packing and note them on the list. This will enable the moving removalists or you, if you’re packing your home on your own, to provide the suitable packing equipment. Furniture items should be listed for each and every room. A moving company such as Interstate Removalists will wrap every furniture item in heavy, thick felt moving blankets to ensure protection and safety. Advance pack some of your things that are easy for you to pack up in sturdy boxes. The less you have the removal company pack, the cheaper the move can be. Take furniture apart and tape the smaller pieces to the larger pieces for ease of reassembly in the new place. 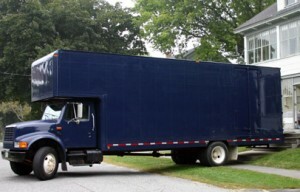 This is called flat packing and will save you money on the overall move. If you are not up to packing on your own–no worries, for that is what removal companies do. Carry special items such as family heirlooms, pictures and highly fragile things in your car. Those items that cannot be replaced should be treated with extra care. Even though the professional movers do this, it is peace of mind for you to have such items close by. Hire a cleaning service for both the current home and the new place, it is one less worry you will have to deal with in getting your household moved and resettled. Moving Again does not have to be a stressful, negative experience for any family. With some preparation, steady work and the help of a professional removal company such as Interstate Removal, the overall experience can be a fairly smooth and positive one for everyone involved.